Excellent food at a full service restaurant on the main road in Matlacha. 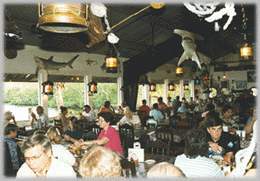 We serve Prime Rib, Baby Back Ribs, Seafood & Fresh Fish. A full liquor bar with a million dollar view of Matlacha Pass as well as an atmosphere that will keep you totally entertained.